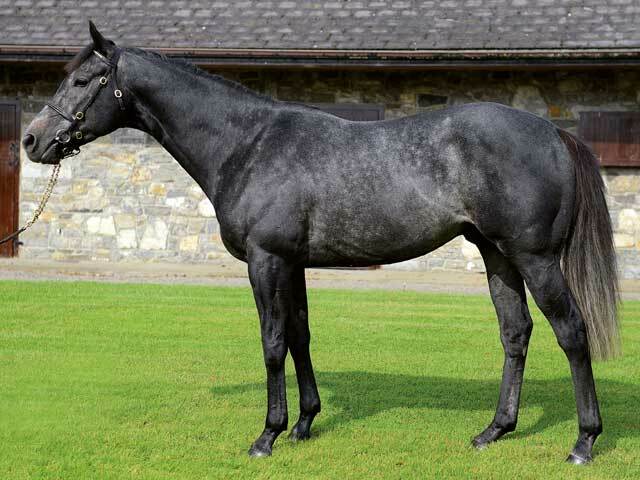 ﻿Sire: Dark Angel – Gr.1 winning two-year-old by ACCLAMATION. Dam: Miss Indigo – by leading broodmare sire Indian Ridge. Dam of 7 winners, including ALHEBAYEB, HUMIDOR (LR winner of 6 races and 3rd Gr.1 Nunthorpe Stakes), etc. Half sister to 8 winners, including the top class filly MUSETTA (LR winner and placed Gr.1 Irish Oaks, Gr.2 Ribblesdale Stakes, etc.). Grandam: Monaiya, by leading broodmare sire Shareef Dancer. Winner of 2 races; half sister to 6 winners, including VANDERLIN (Gr.2 Play The King Handicap, etc. ).